(NewsUSA) – Rum aficionados, rejoice. A classic brand is re-entering the spotlight with a new look.St. Lucia Distillers is re-launching the Chairman’s Reserve rum in the United States in July 2017, and will unveil new packaging designed to highlight the brand’s distinguished history and reputation for quality blends in the English rum style. "Chairman’s Reserve has always been recognized amongst the finest rums in the world," says Benjamin Jones, director of North America for the brand. 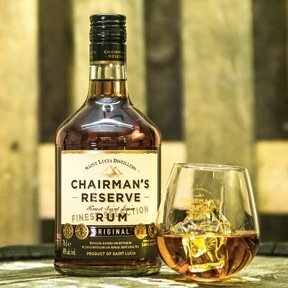 "Now, with an elegant, refreshed look, Chairman’s Reserve will return the spotlight to St. Lucia as an island with a rich and an original legacy for producing world-class rum," he says.The new label for Chairman’s Reserve positions the brand to compete at the premium level in the rum category and compete against premium aged spirits overall, according to a company statement.The Chairman’s Reserve portfolio includes Chairman’s Reserve Rum Original, Chairman’s Reserve Spiced Original, Chairman’s Reserve The Forgotten Casks, and Chairman’s Reserve White Rum.Chairman’s Reserve Rum Original is the flagship St. Lucian rum, created in 1999. Chairman’s Reserve Original combines rums from Coffey column stills and copper pot stills, well blended after maturation and further aged in oak casks.Chairman’s Reserve Spiced Original starts with original Chairman’s Reserve and adds a spicy kick from a Caribbean bark known as "Bois Bande," which has a reputation as an aphrodisiac. Other key ingredients include cinnamon, nutmeg, clove, vanilla, and allspice, as well as lemon and orange peels.The Forgotten Casks of Chairman’s Reserve is formulated to mimic casks of rum that were saved from the St. Lucia Distillers during a fire on May 2, 2007. The casks were misplaced, then rediscovered, but were too old for the Chairman’s Original blend, and the rum was released on its own in the extra-aged category.The product was successful enough for Chairman’s Reserve to regularly hold back some original rum for additional aging and branding as Forgotten Casks.Chairman’s Reserve White Rum features hints of citrus and a blend of three- to four-year-old rums aged in American white oak casks after distillation in copper pot stills and a Coffey still.In addition, "St. Lucia Distillers will re-release the brand, "1931," as a limited reserve expression in the Chairman’s portfolio," according to a company statement. The rare aged rum will be known as "Chairman’s Reserve 1931. 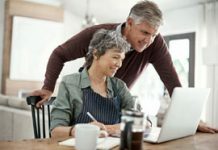 "For more information about Chairman’s Reserve products and the relaunch, visit spiribam.com.